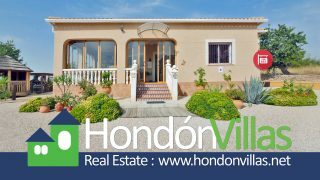 Hondon Villas are delighted to bring onto the market for sale this detached bungalow town house set in the heart of the lively village of Salinas and close to all amenities. You enter the property through a gate into the large terrace area filled with plants and trees with a built in BBQ and table area just right for al fresco dining. There are steps leading up to a small porch and into the main house. Inside you will find a hall with a large airy lounge coming off from one side and the master bedroom from the other side. Further down there is the family bathroom and a single bedroom and at the end opens out into a large fitted kitchen with working fire place. The property is beautifully decorated throughout and has hot/cold air con in the lounge and master bedroom. The windows throughout have been recently double glazed and the property will be sold part furnished. Back outside in the terrace area there is a utility room and the built in BBQ along the wall. At the end a door way to the a separate guest apartment, which consists of a large bed, sitting area and an en suite bathroom. This apartment has its own private patio and street entrance and would be ideal for guests or rental. The property also has a large under-build that is accessed from the street, ideal for games room den or man cave and could also be easily be converted into a separate apartment. 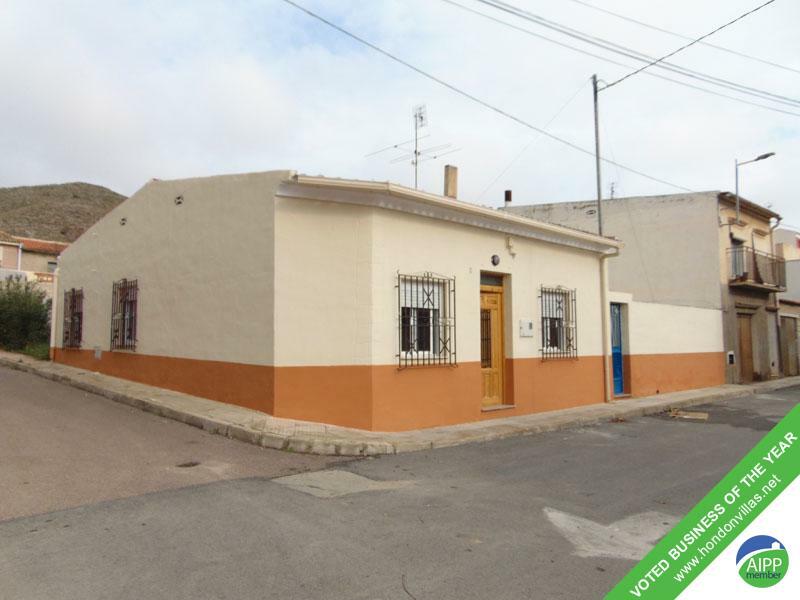 This property is situated in the heart of the lively village of Salinas with plenty of room for parking and with all the amenities close at hand supermarkets, shops bars, restaurants, municipal pool, sports centre and auditorium and is just 45 minutes from the beach and airport. 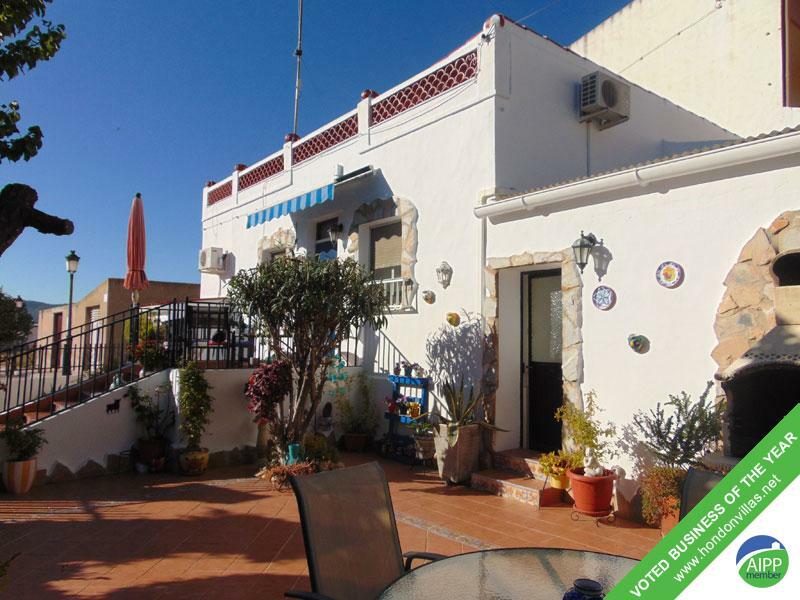 Hondón Villas are pleased to bring onto the market for sale this End-terrace town house located in the heart of the village within walking distance to all amenities. This end-terrace town house is on a corner plot and has a large enclosed private terrace area with access to the street. Inside you will find a large lounge, kitchen diner with feature fireplace, separate larder and utility room and a family bathroom. 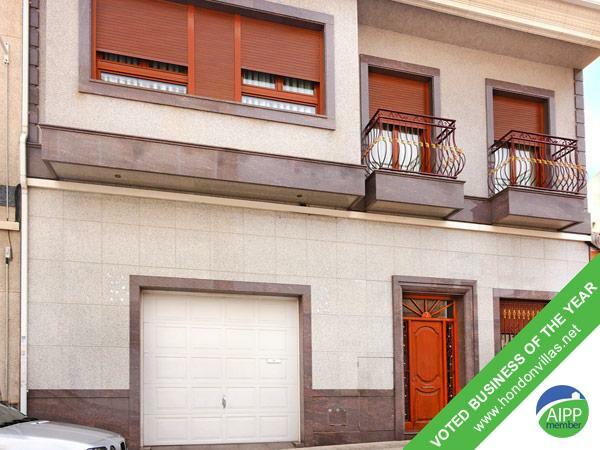 The property has recently been refurbished inside and out and has new doors, floors, windows and roof as well as new installation of both electricity and plumbing. This property has great potential and is priced for a quick sale! Situated in the heart of the Village of Hondón de los Frailes within walking distance to all amenities, shops, restaurants, school, medical centre and also the open air public swimming pool. All you need to start your new life in Spain!!! Ranked No #1 for Hondon Property! Simply our “property net” catches more buying fish! 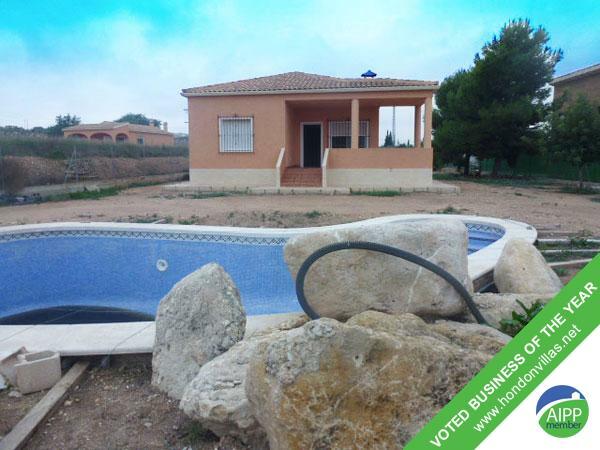 It’s actually staggering that our group of websites, social media and major property portals (like A Place in the Sun, Zoopla, Right Move, HomeEspana, Kyero, Prime Location, Green Acres) get thousands of hits week-in-week-out. And to think the “Hondon Valley” is quite a smallish niche of the Spanish real estate market. We are ranked higher and get about 5 times more traffic than our nearest rival for Hondon Property related searches and ‘click-throughs’. Pstt! in case our competitors are reading (and they usually do) we won’t tell you where or how we do this but it’s definitely working. We are CONSTANTLY on PAGE#1 of Search Engines like Google, Yahoo, Bing in the UK, NL and ES for pertinent key real estate phrases… such as “Hondon Property” / “Villas in Hondon” / “Hondon Valley Homes” / “Hondon Estate Agent” / “Villas for sale in Hondon”. No other local agent even comes close! 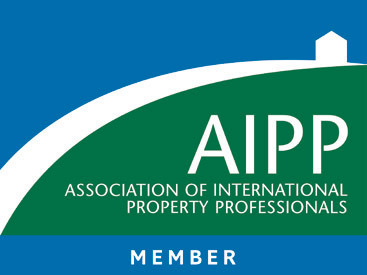 It matters to you the seller because the majority of foreign house buyers now start their property search online. Years ago they’d go to a UK high-street agent or visit a property exhibition. So, you the seller get a better chance of a house viewing if we at Hondon Villas are higher up the search results. Further, Google’s own research shows most people never bother with page #2 of search results. So in this busy digital age, to sell your Hondon area property you really want to be with an agent that has a high-ranking property website in the Search Engines and that gets lots of targeted visitors. Period! 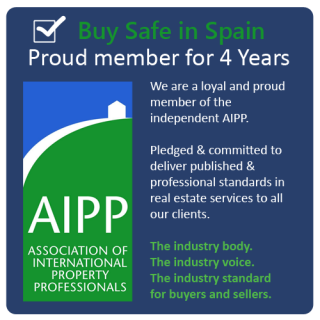 To improve your chances of a sale, we also invest in major global portals and advertising (like Right Move, Kyero, Zoopla, Think Spain, Prime Location, etc), foreign websites, blogs and online / off line advertising in local papers. We also have a high visibility with the locals, engage in community publicity and sponsorship. Our social media channels are active and updated often. Come visit the Hondon Valley… with beautiful mountain views, the vineyards and 300+ Days of glorious Spanish sunshine per year! “Caring and serving you in the Hondon Valley”. Hondon Villas is owned and managed by Maureen Cook who has over 30 years experience in Real Estate (UK and Spain). Maureen set-up her own profitable estate agency office in Leeds, UK over 30 years ago. That office is still trading today. 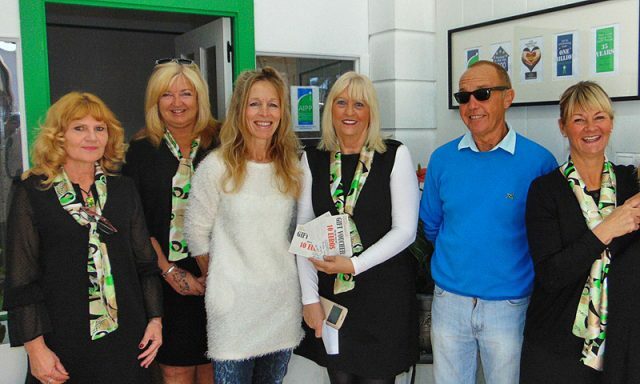 Maureen has also successfully managed a string of profitable UK based estate agency offices including large branches for the Halifax, Manning Stainton, Your Move and Bairstow Eves – all main players in the UK property market. Moving to Spain about 14 years ago, she joined Medsea Estate PLC as a Property sales Agent. 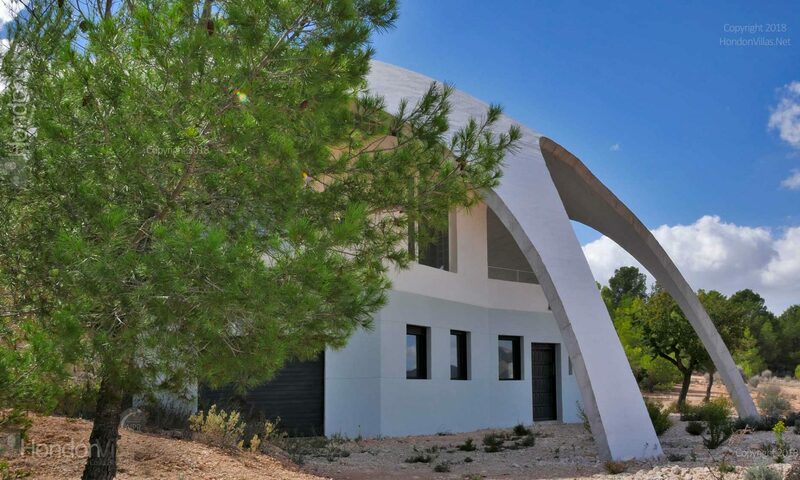 Having completed 100’s of Inspection Trips along the Costa Blanca, she soon found herself the top female property sales agent with an average conversion rate of 70%. With the 2008 financial crash and subsequent fall in Spanish Property markets, she voluntarily left Medsea to then later start-up Hondon Villas, her local Spanish property market. She realised many Expats after the boom years now wanted to sell up to go home or relocate, but also that the post-boom cheaper property would attract a new generation of investors and buyers. There was also very few trained and experienced real estate agent services in the Hondón Valley then. Building up a rapport and reputation didn’t take long and her first office was open 8 years ago. 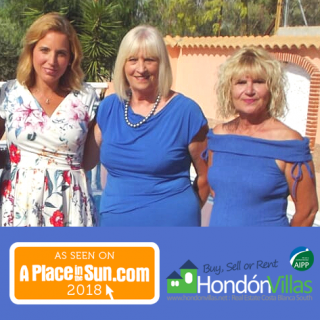 Going from strength to strength Hondon Villas has moved to better premises to the Frailes Plaza with more staff, more foot traffic and better prospects. Her 2nd office opened in Nieves Plaza in the summer of 2018. The Hondon Valley property market has bucked the trend and still remains a “secret” with British, Dutch and Belguique buyers and the Spanish economy has slowly recovered from the 2008 crash. Each year Hondon Villas have never been so busy! … and we can report a record year in 2018. As well as this wealth of experience, Maureen is a confident, professional and extremely friendly person. Her positive attitude to customer service, is second to none. And it shows, as she is constantly recommended by her clients to others.